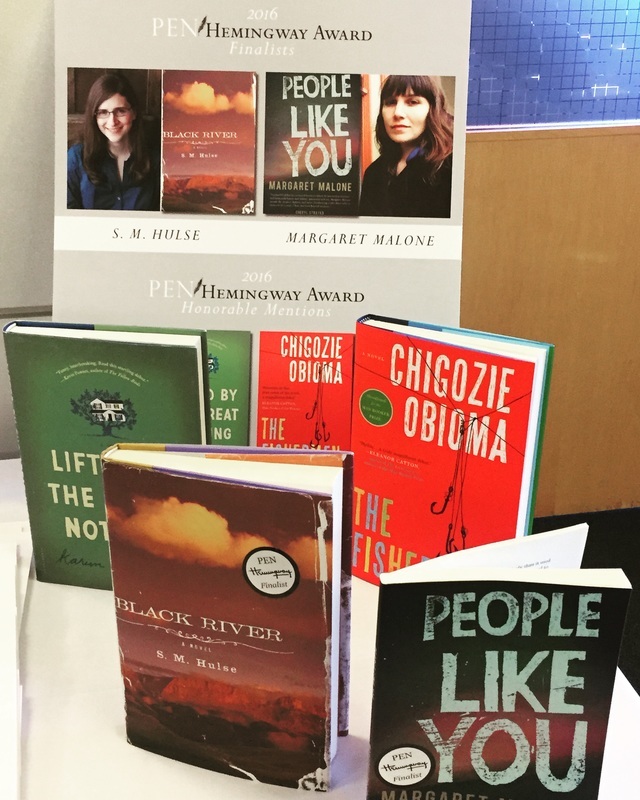 BLACK RIVER with its PEN/Hemingway Finalist sticker, in a display with books of other 2016 honorees. A shelf talker for BLACK RIVER at The Well-Read Moose in Coeur d'Alene, ID. 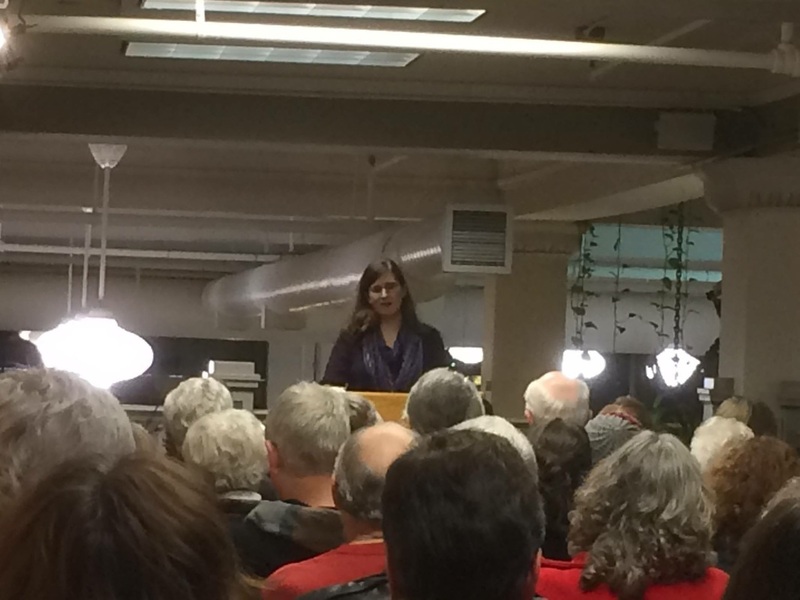 S. M. Hulse reading at the book launch event for BLACK RIVER, at Auntie's Bookstore in Spokane, WA. S. M. Hulse with Nancy Pearl at University Book Store in Seattle, WA before taping an episode of "Book Lust with Nancy Pearl." A poster advertising the book launch event for BLACK RIVER. 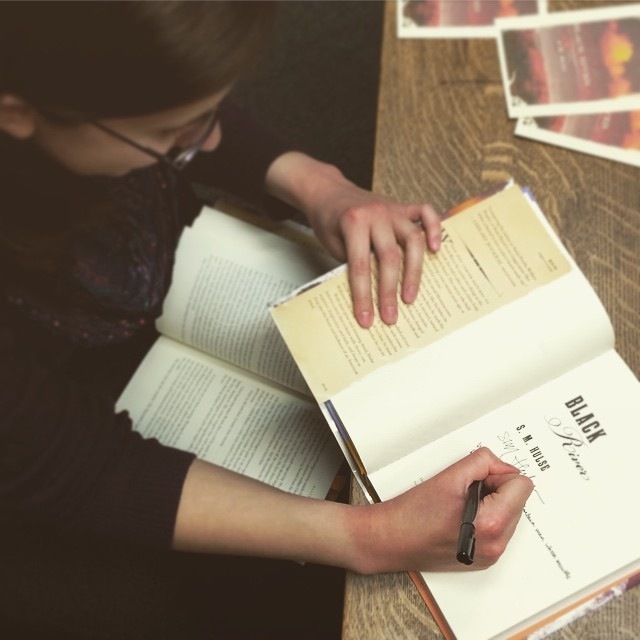 S. M. Hulse signing books at Fact & Fiction in Missoula, MT. 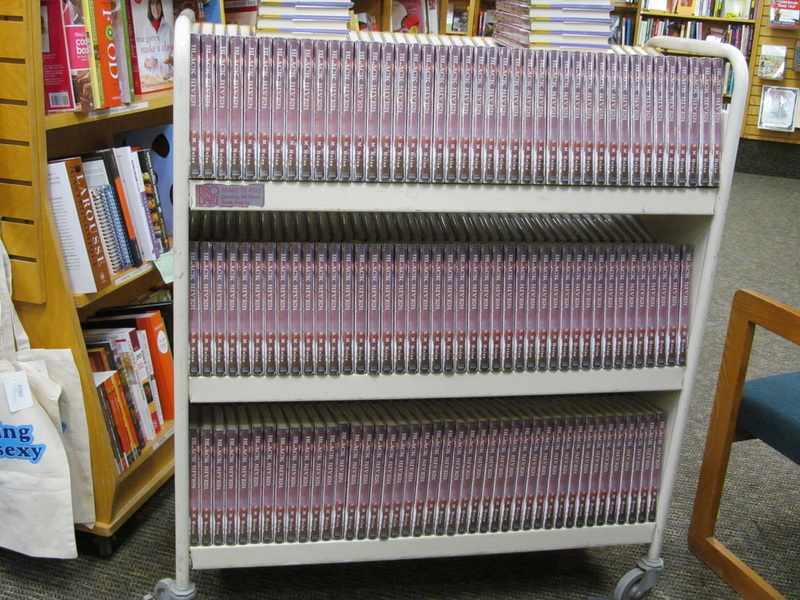 300 copies of BLACK RIVER at The Odyssey Bookshop in South Hadley, MA.